I love covered buttons. They just make a design look so pulled-together. 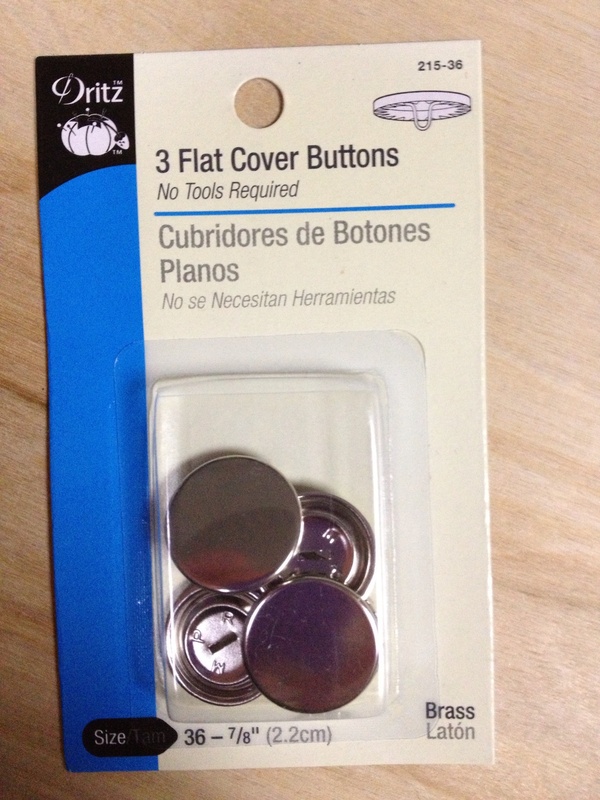 The problem is that that directions on the back of the covered button kits are a little bit less than useful. They’re actually kinda bad. So for anyone who has ever wondered, here’s the sitch…. 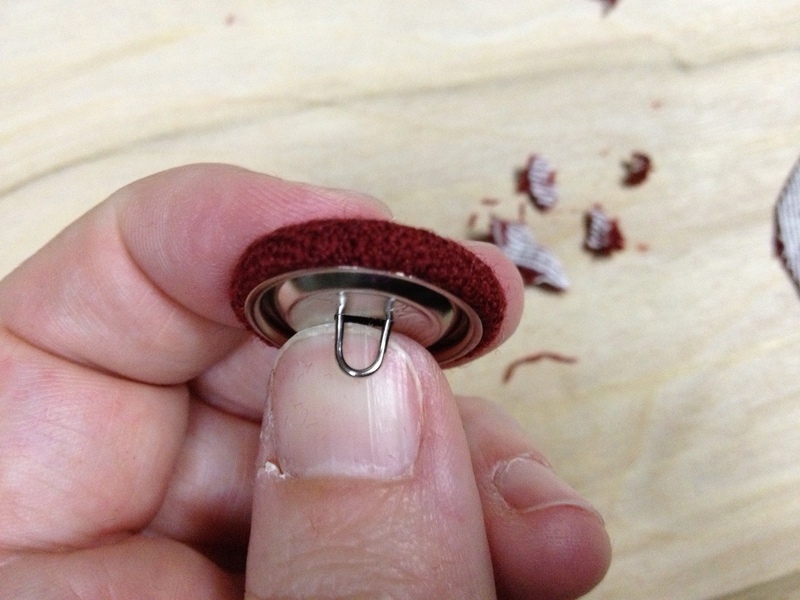 Here’s your standard issue Dritz covered button kit. 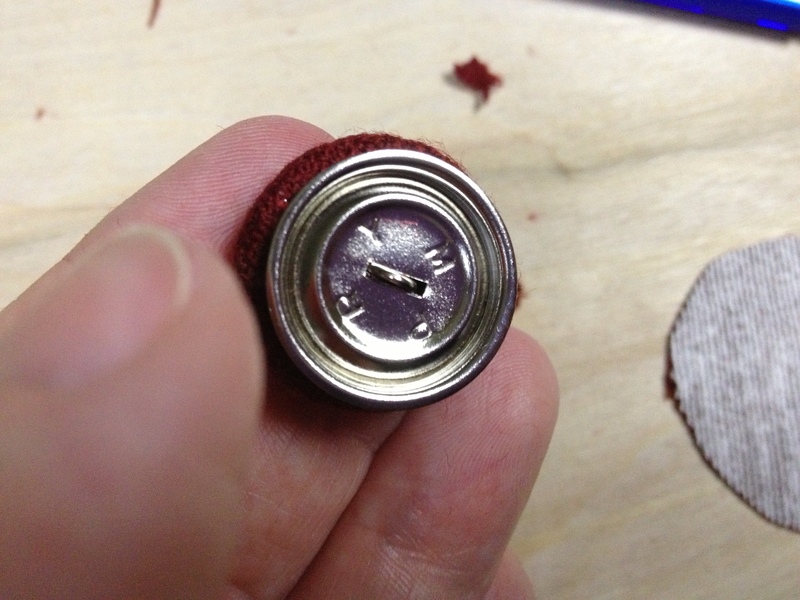 These buttons start out as two halves – the top bit you cover with fabric (has teeth and a shank – violent little beastie! ), and the lower bit that hides the ugly. 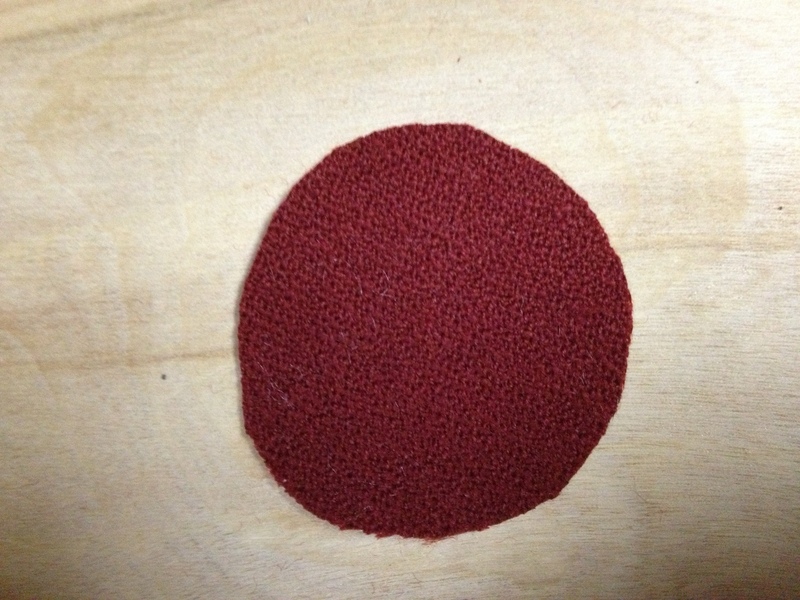 You will need to cut a small circle(ish) piece of fabric. There should be a size guide on the back of the button kit. Position the button top on the fabric, more or less centered. 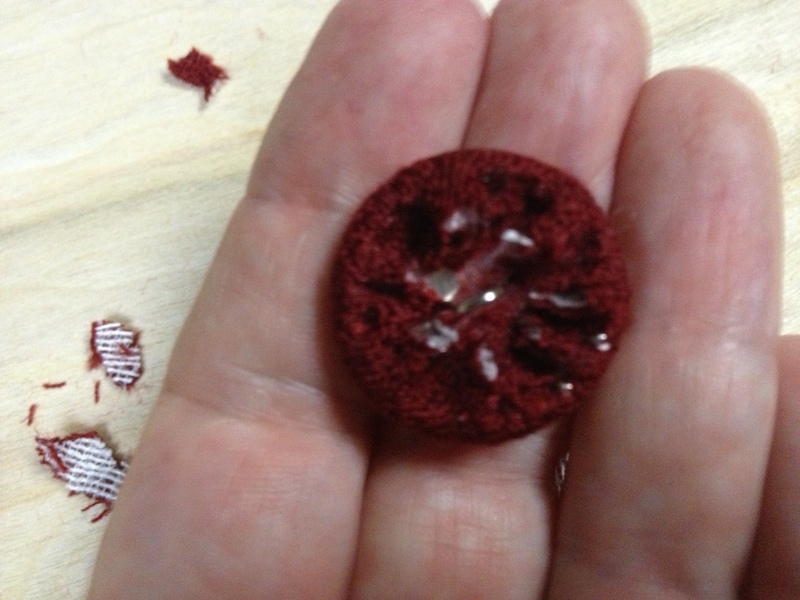 I interfaced the fabric I’m using for this button, btw, because my fabric is a stretchy wool crepe. I do not want it to stretch while I’m working, because I don’t want the silver from the base to shine through. 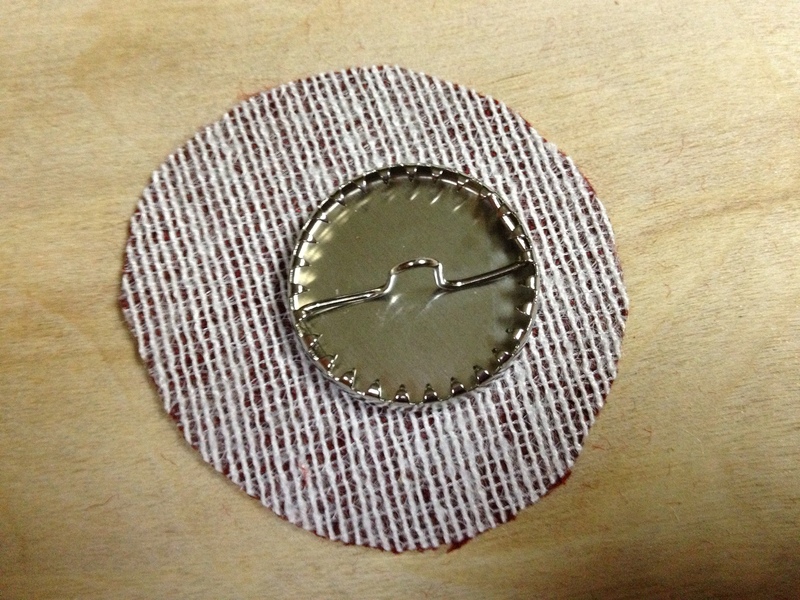 To attach the fabric to the button, you wrap it around the side of the button and secure it with the little teeth inside the rim. Your goal is to secure fabric to all the little teeth. Ideally, you want to do this without wrinkles on the outside edge. This is where things start to get frustrating. 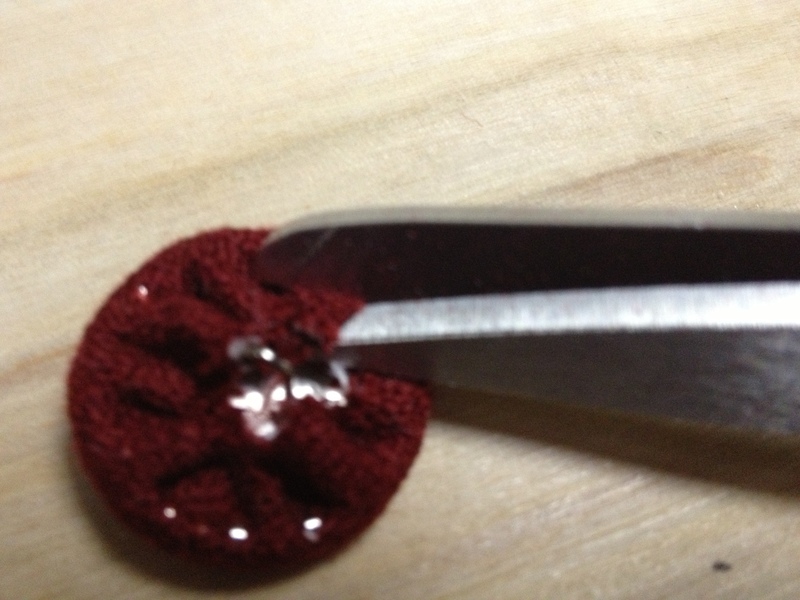 Smoothing a flat piece of fabric over a round item leads to wrinkles unless you pull. Unfortunately, there’s not a lot of working room inside the darned button. I find it easiest to work in 1/4″ increments – move 1/4″ from the last set of teeth to sink into fabric, pull fabric straight up and secure with teeth, then go back and work fabric into the remaining teeth in the 1/4″ area being worked. The fabric circle has now been pretty well secured. 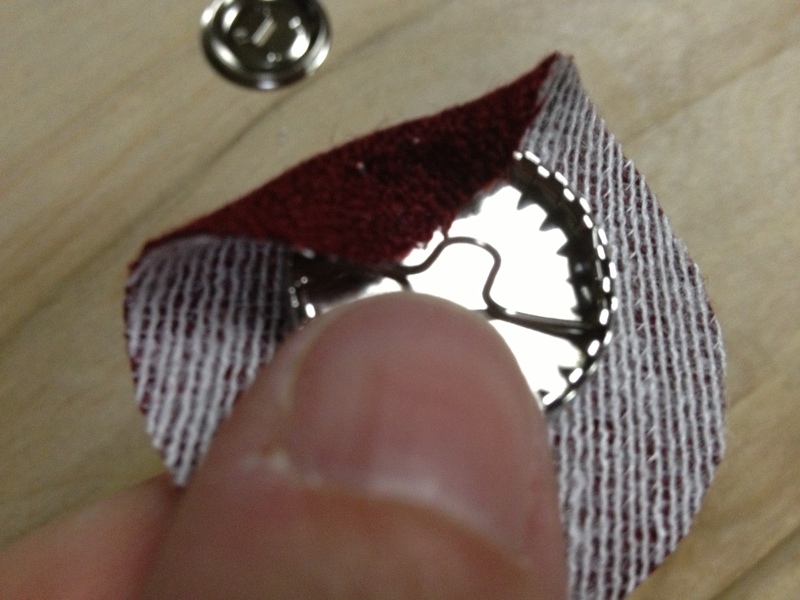 Depending on the bulk of your fabric and the relative circularity of your original piece, you may find yourself needing to trim some of the excess out of the middle of the button. Position the button back piece over the shank of the button. 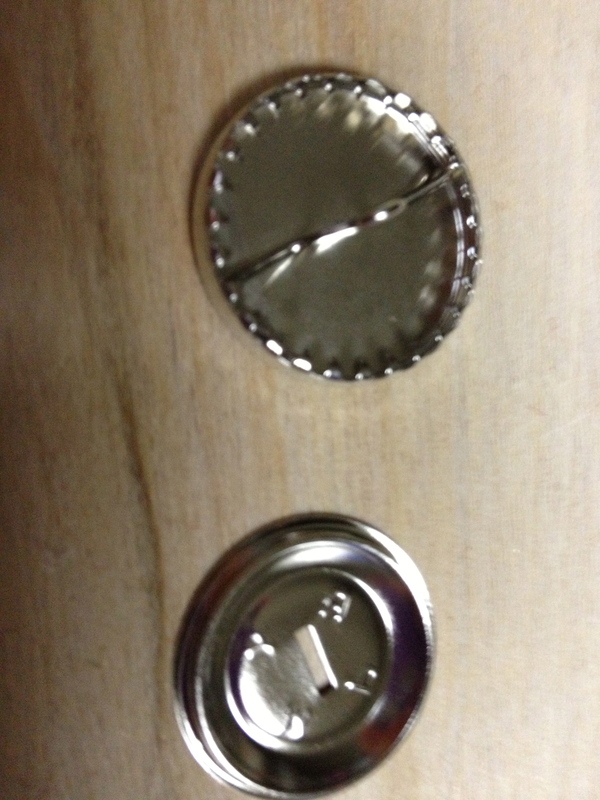 …and snap the back in place. This doesn’t usually work with only one thumb, but the other hand is holding the iThing. 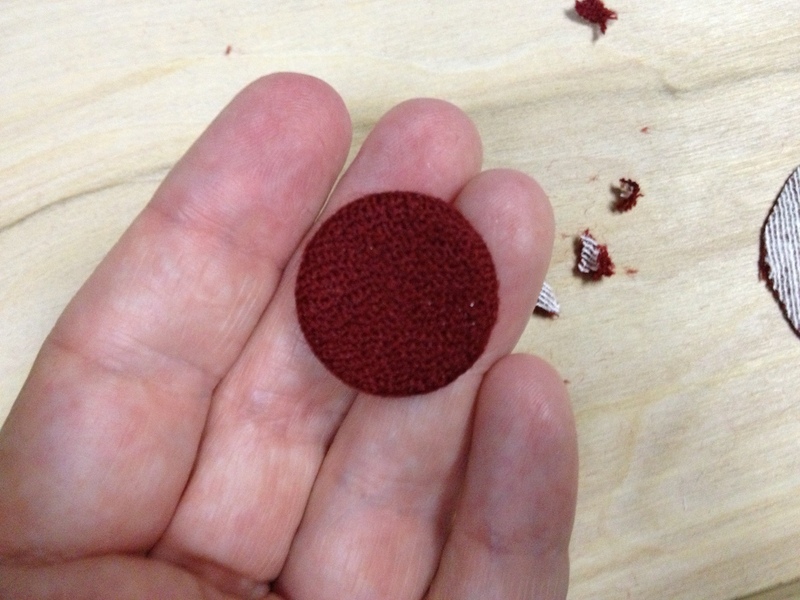 And there you have it – a neat-o, impressively high maintenance little covered button. If only I needed just one…. Le sigh. 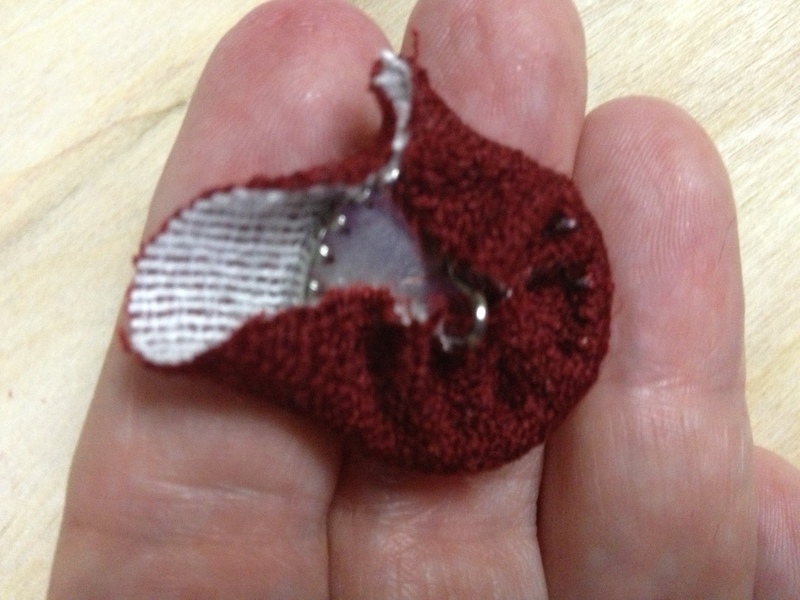 A seamstress’ work is never done. I’m binge-reading your blog (is that blog-stalking?) planning to get back into sewing. 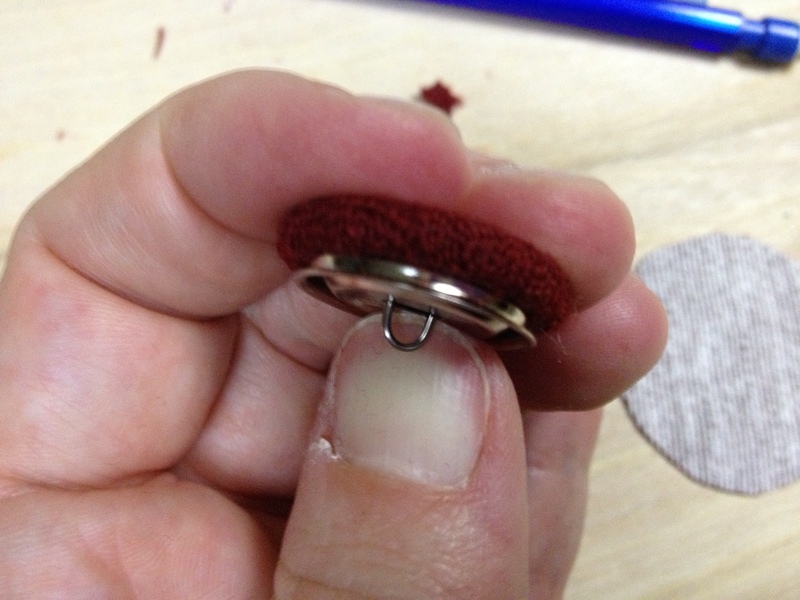 If you get the kind with the “mold” (a flexible thimble-thing that smooths the fabric for you) you can skip all the tedious work trying to get the fabric onto the teeth. After you have the kit with the mold, just buy the refills. 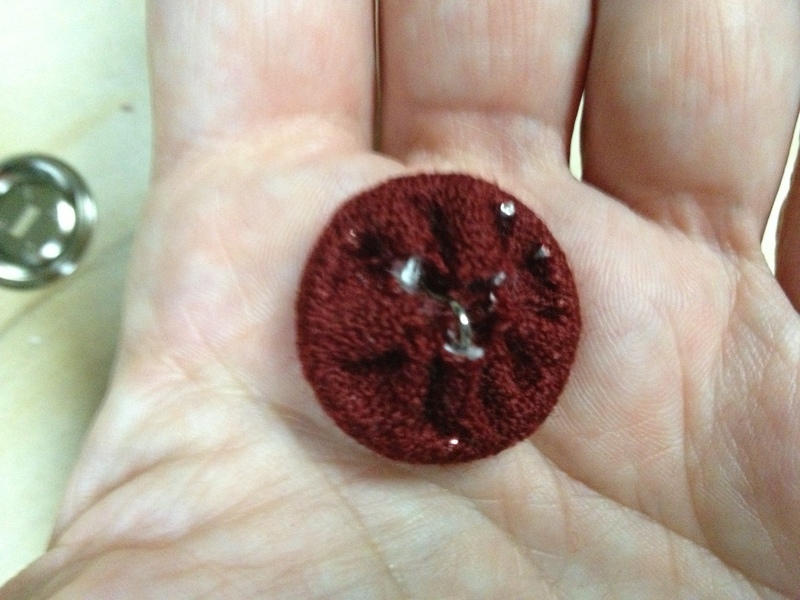 It’s the easy way to move a blouse up the fashion scale: replace the cheap white plastic buttons with fabric ones. If it’s a print, center the part of the design you want on the blank, or for inconspicuous closings, match the fabric print at that spot. Replacing buttons is always a great fashion hack. Thanks for all the info and tips!